I have had these two gems for a while. 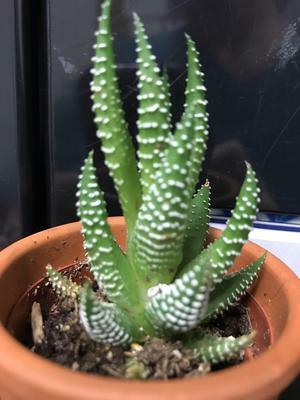 The shorter one I believe to be an Aloe nobilis that has suddenly grown tall leaves. I've had that one about a year. 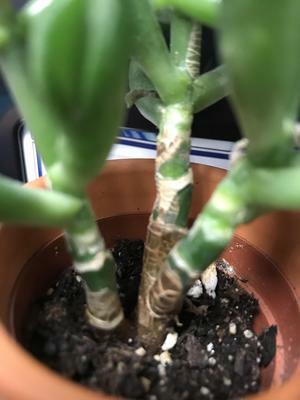 The taller "jade" I've had two years and it doesn't seem to be doing very well all of the sudden. It has gotten tall, dropped a leaf recently and almost outgrown its seedling sized pot. 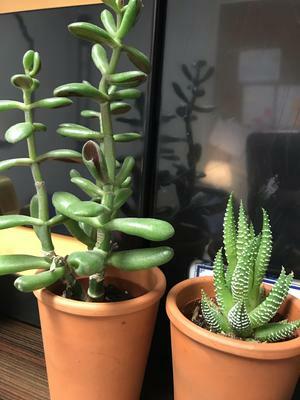 The climate in South Carolina is very mild and these babies are in my office. I water them with filtered water when they get bone dry. I am wondering if 1)they need some natural light 2)They need to be trimmed (and if so, how/when do I do that?) 3)If they need to be repotted (and again, how). These were gifts from a sweet family that had no idea I have no horticulture knowledge or leanings whatsoever. I am utterly amazed that they have lived this long and do not want to kill them off. Please help. 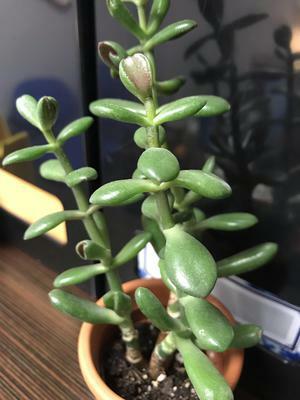 Comments for Is it okay to trim a succulent? There's no problem at all with pruning succulents. They respond really well to it. Best timing is just before they would naturally start to grow in the spring, but they can be pruned any time. More about pruning and how to do it. More on succulent care and don't forget to get your Succulent Care Handbook.